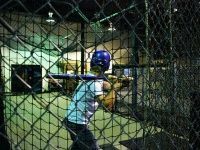 See a list of the best batting cages in PA. Top indoor batting cages in Pennsylvania. Loads of fun at Lahey batting cages in PA! 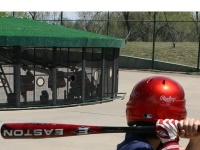 Nine, state-of-the-art batting cages provide a wide range of batting practice or just plain hitting. Everything from slow pitch to seventy mile per hour fast ball. The hitter has a complete control of the pitching machine and can select the speed and height of the pitch. There is never a long wait at Lahey's because there are nine different batting cages on the complex. 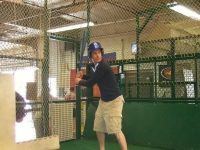 Lahey's is a great place to bring a group of friends for a couple hours to practice hitting or just for the fun of it. Lahey Family Fun Center also offers mini golf, an indoor soft play area, arcade and snack bar! Bucks county premiere baseball and softball batting cages in PA! You will never come across such a professional baseball/ softball facility than Extra Innings. Extra innings is open year round, indoor and outdoor service. This facility has over 15,000 square feet of practice area to serve all your baseball and softball training needs. Come to Extra Innings with your team and get the practice time you were planning on that rainy day. The cages can be rented out by the half hour of full hour to the public or used weekly by the members of the club. 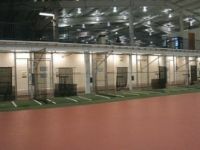 Reservations are taken and recommended to ensure a spot in the cages.The tunnels are each 70 feet long, 15 feet wide which gives you more mobility and distance than a regular batting cage. An amazing outdoor batting range in Western PA! An outdoor, open air layout, with ten baseball cages and 5 softball cages available. Cage rentals are also available in 15 minute or 30 minute sessions. North Park is a great place to practice baseball with your friends or baseball/softball team. If you spend $10 at North Park you get one token FREE of no charge. Each token is 10 balls. Batting cages for the whole family in PA! The Hitters Edge is a great place to bring your family for a reunion or just a party. It is perfect for those baseball and softball lovers out there. There are 6 indoor batting cages in total here at this fine facility. Three for baseball and three for softball. IF you are waiting to use the cages you can enjoy shooting hoops in the basketball court. Also, you can play a game of pool or air hockey while waiting for your turn in the batting cages! Hitters Edge is a great place to hold your child's next birthday with our exclusive party area. They also have an arcade for the members of the party to enjoy. 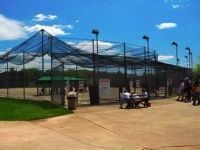 Five great batting cages in PA! Come to Grand Slam for a fun time in the cages! Grand Slam is a great place to come to just relax and hit baseballs or softballs. The pitching machines pitch at three speeds (fast, medium, and slow). Don't mind your height or size, the machines will adjust to your height so no need to worry. Each round is $2. You get 18 pitches for each round. If you are a ball player and want to hit more than 7 rounds, you only have to pay $10. For 15 rounds the price is $20. Seven state of the art batting cages in Eastern PA! Using the latest technology in pitching machines, the ball is safely pitched slow or fast. Freddy Hills Farm batting cages are something for everyone, whether it is the Little League, college player, or just someone swinging for fun. Teams that want to practice can rent a cage for a full or half hour.Spend a few hours of your weekend at Freddy Hill Farms batting cages! 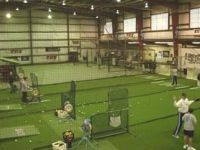 The best indoor batting cages Eastern PA! Never worry about the weather shortening your practice time. Come to Maple Zone Sports and Fitness Complex to hit some baseballs or softballs. You can rent a cage for $60 an hour or pay $1 for one token. One token is worth one round. To rent a cage and schedule please call. Never get caught inside on a rainy weekend or summer day, come to Maple Zone! Improve your batting skills at Challenge Family Fun Center! The pitching machines run at five speeds, 35, 40, 50, 60, and 70 mph for both softball and baseball! If you are looking to rent the cages for a team or party, please call. Otherwise the rate is $2.50 per round. There is a banquent room and patio now available for rental. So book your family reunion, corporate event, or grouping outing now! 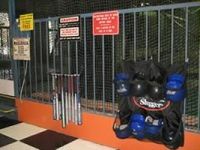 The most premier batting cages on the east coast! 11 batting cages, a PX2 Pro batting system, 2500 square foot instructional area, 6 pitching lanes, and indoor major league infield, pro shop, lounging area, and a birthday suite are all the major amusements in this wonderful facility. Not just batting cages, but also a physical training facility. This amazing place is approximately 42,000 square feet and is called by many, the nicest baseball and softball academy in the nation! 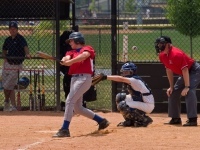 Burholme Park Golf Center has a wide array of recreational activities to partake in, but one of their featured attractions is their Philadelphia batting cages. At the cost of one dollar for twelve pitches, you'll be able to perfect your batting technique without going broke. If you want to bring along friends or family who may not be interested in batting cages Philadelphia, do not fret. Along with the cages there is a driving range, as well as a minature golf course. And there's also a picnic area available, providing the perfect place to rest after a long day of knockin' balls out of the park. Swing and Play All Day! 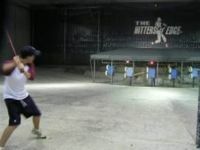 Tee's Golf Center has some of the best batting cages in Philadelphia available. 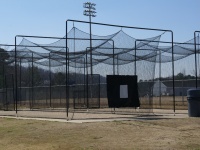 With eight cages that each offer major league to little league speeds, these batting cages are perfect for all ages. It's also possible to control the type of pitch, allowing parents and children to learn how to hit both slow and fast balls. 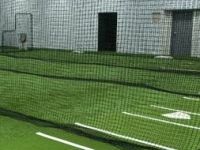 These batting cages in Philadelphia also have league and team rates available, making it the perfect place to visit if you need more than a few cages. There's also a driving range and miniature golf course on the premises, providing all the more fun for kids. Knock It Out of the Park. City Line Sports Center is another one of the beautiful batting cages in Philadelphia, offering a serene view of nature in an otherwise bustling city. Take the kids out for the day and practice your swing, or make use of the other equipment available such as the picnic area, mini-golf course, and more. If you find yourself feeling tired or sports aren't your hobby of choice, feel free to check out the full-service snack bar. Between the great atmosphere, group lessons, and driving range, this is one of the best batting cages Philadelphia can offer.